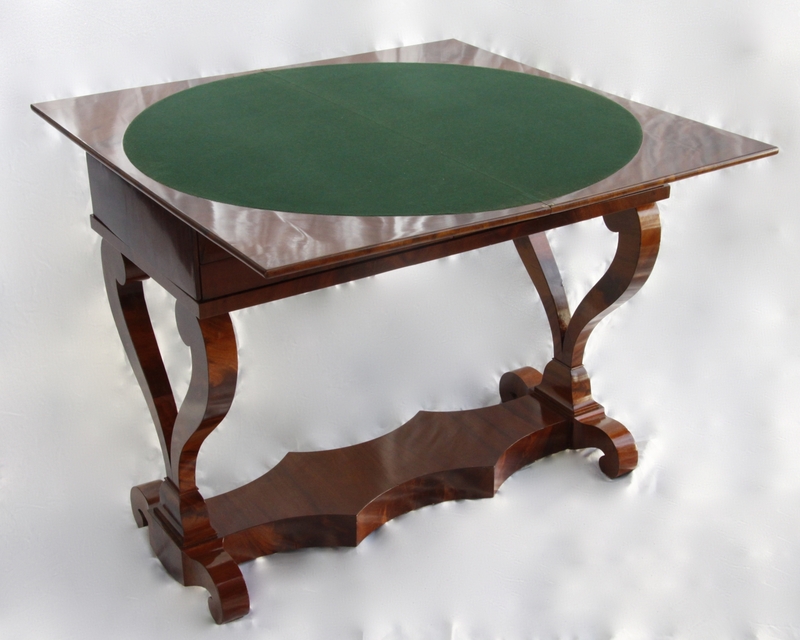 Games table in pine and oak veneered with mahogany; marquetry of rosewood, maple, ebony and others. 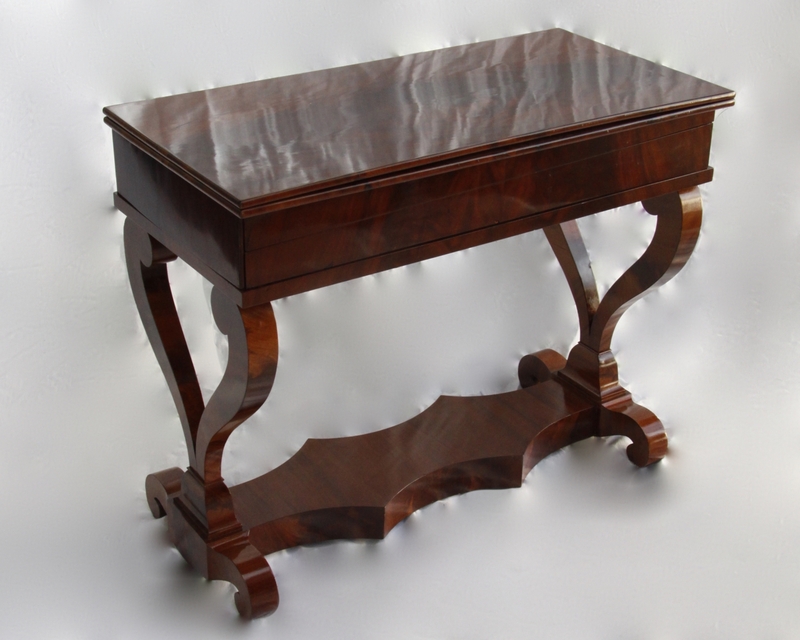 When closed this table looks like an elegant console table. 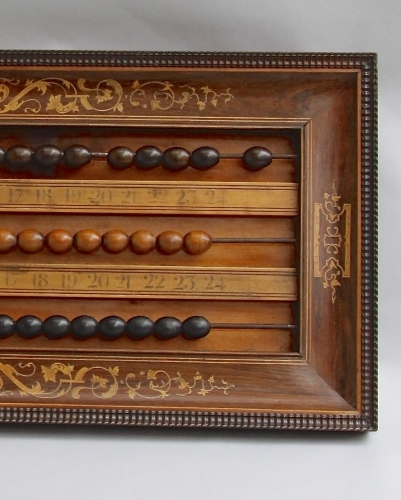 Once the top is opened, we see the first function: a card table. 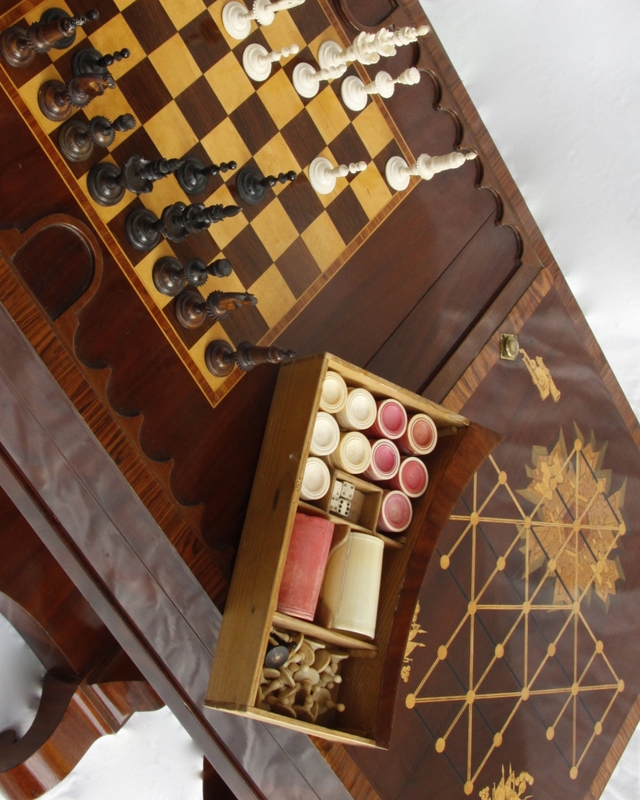 The top can then be removed, underneath we find three different games: a chess board and a 'jeu d'assaut' board. 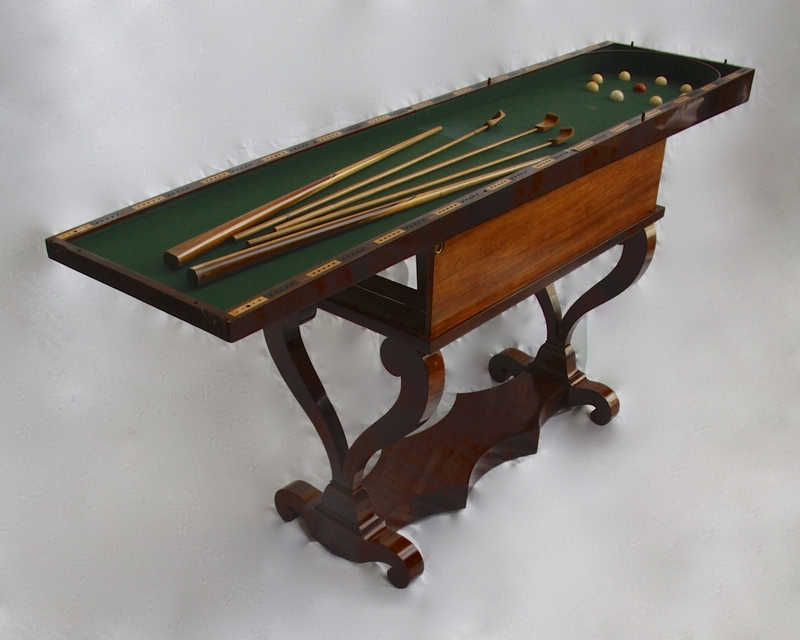 Along the sides are recesses for playing backgammon. 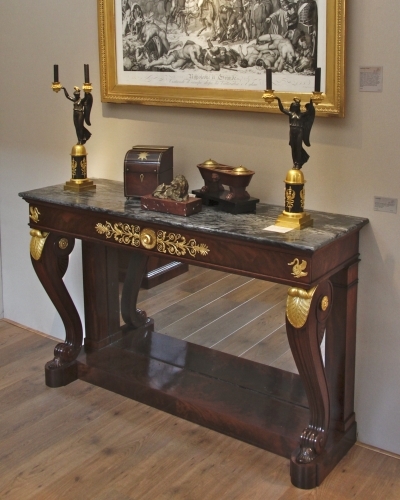 Finally this whole section can be opened resulting in a long bagatelle table. 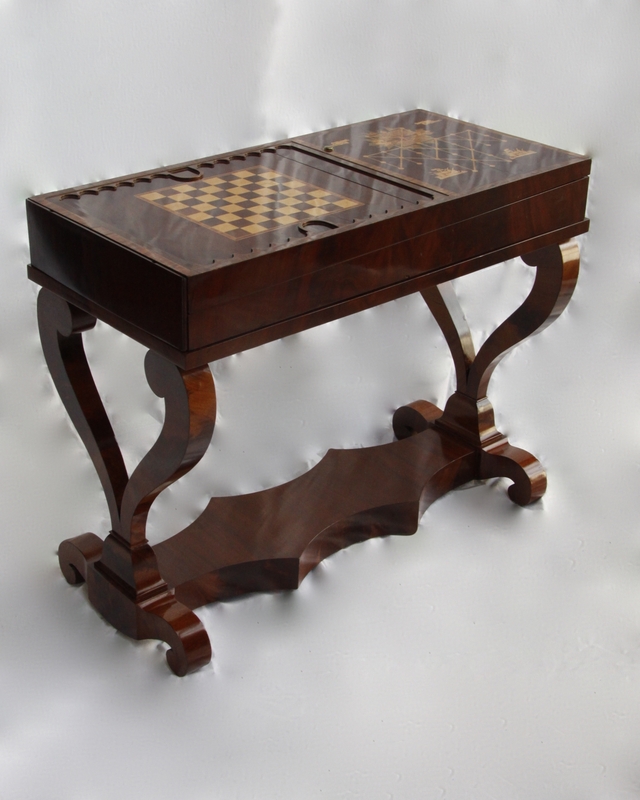 This table come with ivory billiard balls and chess&game pieces, cues and dice. 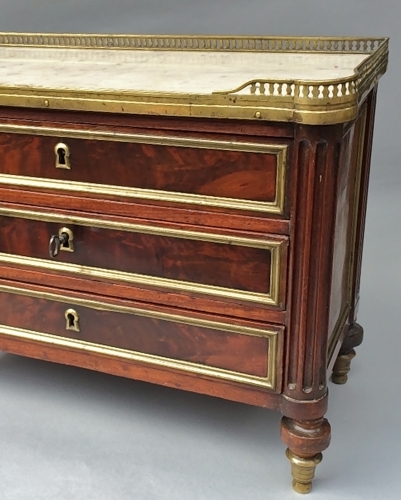 The different pieces can be stored in three drawers in the base of the table.